Rat anti Mouse IgM heavy chain recognizes murine IgM (mu heavy chain) and does not cross react with other murine immunoglobulin classes or subclasses. Spleen cells from immunized Lou/c rats were fused with cells of the rat IR983F myeloma cell line.  This antibody may be used as a coating antibody in sandwich ELISA in combination with LO-MM-9 (MCA199B) and Streptavidin:HRP (STAR5B) as the detection reagents. Savignac. M. et al. (2010) Increased B cell proliferation and reduced Ig production in DREAM transgenic mice.